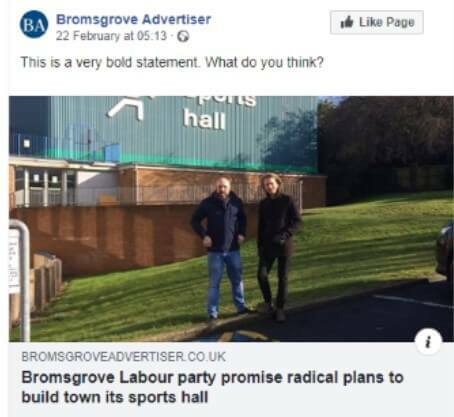 Labour leader, Michael Thompson – District Councillor for Rock Hill, has promised the people of Bromsgrove that if Labour are elected in May that they can expect much more for much less. This weeks Bromsgrove Advertiser featured a article on the plans – click here for the full story. “There are so many ways to save money for our people which we will do if we are elected such as…. Restructuring the senior management of the council to a realistic and affordable level (it costs us of £1M a year). Abolishing our shared service programme with Redditch, where our taxes are subsidising services in Redditch as well as our own.